Home » Burglar Alarm » miGuard Response One Room Alarm Kit. miGuard Response One Room Alarm Kit. This is ideal for one room, small shed, garage or motor home! Simple and easy design and set-up! Police Discount Offers bring you this easy-set up intruder alarm! 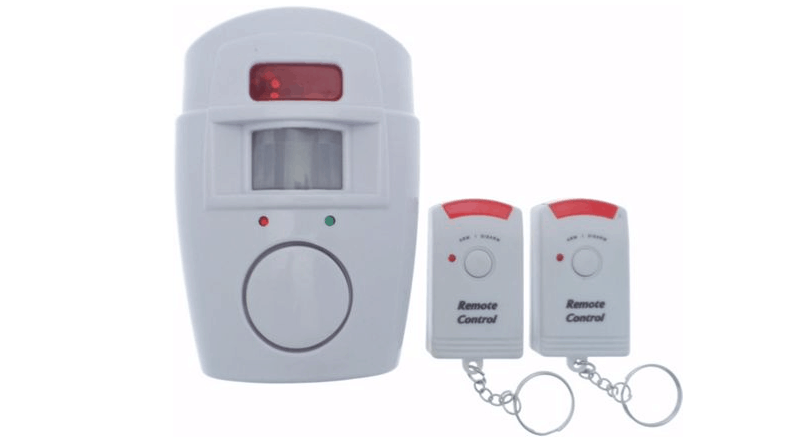 This portable battery operated home security kit is simple to install which is operated using the remote control fobs provided. This is a great design and ideal for protecting a room, caravans, sheds, garages, boats and more! This Home Security Alarm is engineered using a PIR motion sensor which activates a loud alarm when any movement is detected within is field of detection! It comes is a wall mounting bracket and has a range of 7 metres. It has several good reviews, check them all out!